International Play Iceland is a non profit organisation that is bringing together childcare practitioners from all over the globe to join forces and change the way that children are educated once and for all. 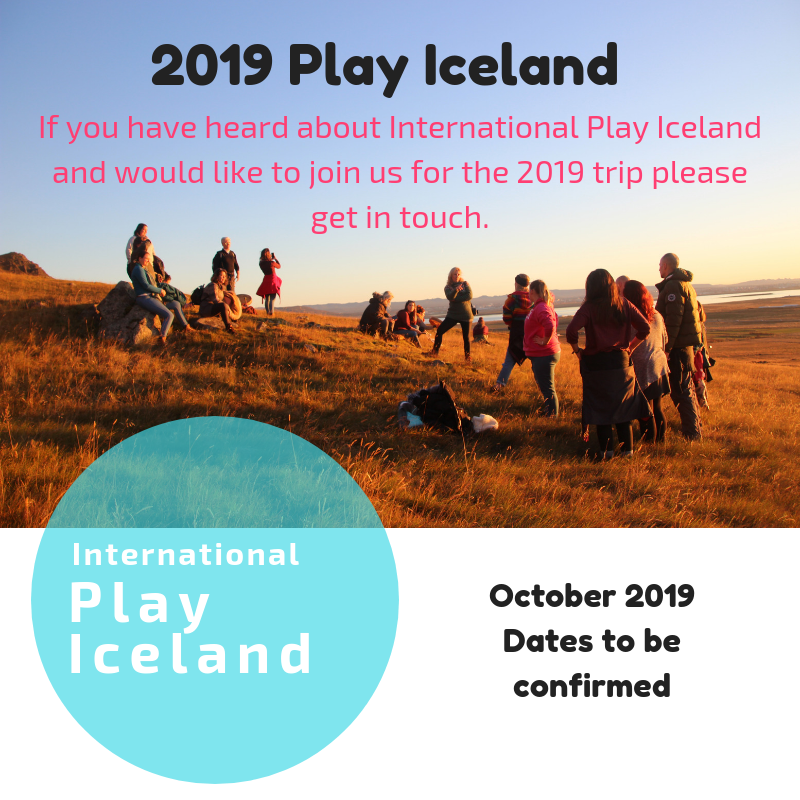 Play Iceland is a 6 day experience, exploring nursery settings and culture, it's an international event where practitioners have the opportunity to connect across continents and create professional bonds that fuel their passion for years to come. Participants will be given the opportunity, over 6 days, to visit nursery settings, share experiences and teaching methodologies over breakfast, lunch and dinner, meet like minded individuals who share the same passions, learn more about the early years and positive brain development, connect with practitioners from around the world and absorb the beautiful surroundings and Icelandic hospitality. The idea behind International Play Iceland came from two like minded individuals with passions for positive brain development and the early years. They wanted to spread this passion and bring together others who have similar views or that simply want to learn more about them. Their ideas and passion blossomed into life by creating ‘Play Iceland’ in 2013. International Play Iceland originated in (you guessed it…) Iceland; a truly magical place that needs to be seen to be believed. ​We believe that Early Childhood is the most important time for brain development. It is in this time that children start building brain connections; the work we do as practitioners shapes children, so it is imperative that the importance of brain development, open ended play, risk taking, and communication is broadcast on a larger scale. What we do every day is raise another generation, with many rules and regulations in place, we ask the question… are our children really benefiting from the current education system? And if not, what can we do as practitioners to change this? International Play Iceland is on a mission, not a business venture. We believe that if enough people share our passion and message then really we are an unbreakable force, supporting the right for children to be little and to play… because they will grow up soon enough. We believe that our past 4 years of experience, bonds, friendships, stories, and knowledge needs to be shared. We have made some incredible friends and have learnt more and more by every event held! Last year we held our Icelandic Leg in April, and our Seattle leg in October. This year's trip, A Holistic Approach to Iceland, is looking to be one of the best, most inspirational events yet. "I’ve come away with new ideas and a reinvigoration towards my work. I’ve slowed down my practice and make more mindful decisions. In short, International Play Iceland has been transformational on multiple levels. "